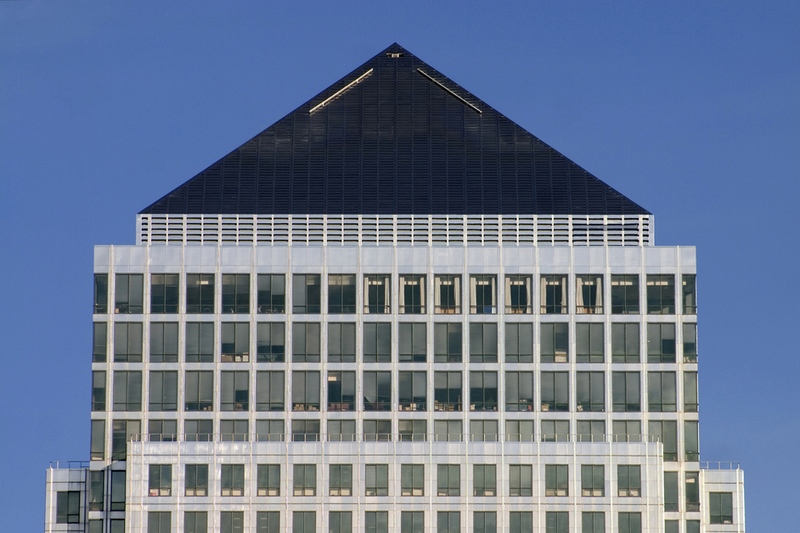 Home to the big banks, Canary Wharf is a purpose-built office hub in the regenerated Docklands. With the site extending to over 97 acres it's almost like a separate city in the east of London, powered by and for the financial sector. In 1991 the first tenants moved in and as recently as the mid 1960s, Canary Wharf was a cargo warehouse at the centre of West India Docks. In this former role most of the trade came in from the Canary Islands, giving the wharf its current name. Now, with its very modern glass-covered uniform tower blocks set on the water's edge, the ship merchants have been replaced with suits. Standing out among the towering office blocks is One Canada Square. At 244-metres, encompassing 50 floors, it's a truly formidable structure, visible from almost any high vantage point in Greater London. Being entirely purpose built, the wharf runs efficiently; even the shops, pubs and restaurants are modern and functional. Unlike other areas of the city, travel also runs like clockwork with commuters arriving daily via the Jubilee line and the DLR (Docklands Light Railway) while London City Airport, just 10 minutes by taxi, makes it convenient for international business travel. What are the best dining options near Canary Wharf London? Canary Wharf gyms, sporting activities, health & beauty and fitness. The best pubs near London Canary Wharf. Canary Wharf clubs, bars, cabaret nights, casinos and interesting nightlife. Where to have your meeting, conference, exhibition, private dining or training course near Canary Wharf. From cheap budget places to stay to luxury 5 star suites see our deals for Canary Wharf hotels, including Hilton London Canary Wharf Hotel from 88% off.